Industry 4.0, Cloud Computing, Smart Factory, Internet of Things (IoT). 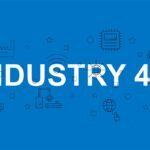 News / News / Industry 4.0 Cheat Sheet – What is it all About? Industry 4.0 Cheat Sheet – As a result of huge developments in the modern world, manufacturing is changing. Here we explain key terms; Industry 4.0, Cloud Computing, Smart Factory, Internet of Things (IoT). 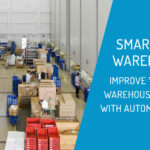 With the use of computers, automation and cloud technology, factories are becoming increasingly efficient and “smart”. Industry 4.0 is the latest phase for the manufacturing sector which has come about because of the Internet of Things and the accessibility of data. Factories that are known as “Smart Factories” are becoming more prominent, particularly in Europe. What can we learn from our European friends? 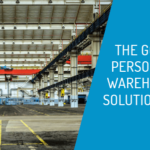 We can learn how and why they are connecting manufacturing machinery within their production lines, their administration systems and external suppliers and in some cases, the entire lifecycle of the product. This connectivity between each stage of the manufacturing process, enables a more streamlined automated production environment. Fundamentally, it is also driving product innovation that will give entrepreneurs a competitive edge in the market. 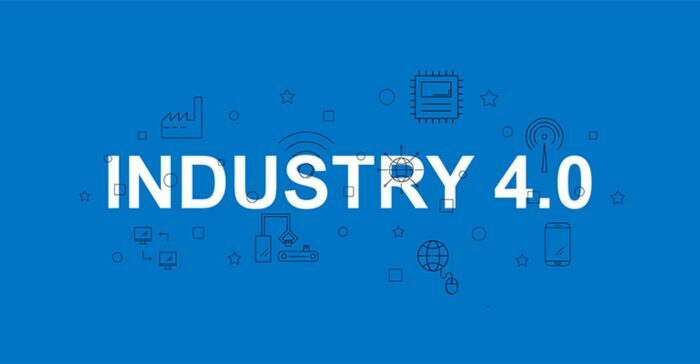 Industry 4.0 (the ‘fourth industrial revolution’) refers to the current trend of improved automation, machine-to-machine and human-to-machine communication, artificial intelligence, continued technological improvements and digitalisation in manufacturing. improvements in transferring digital instructions to the physical world such as advanced robotics and 3D printing. The terms “Smart Factory,” “Smart Manufacturing,” “Intelligent Factory” and “Factory of the Future” all describe a vision of what industrial production will look like in the future. In this vision, the Smart Factory will be much more intelligent, flexible and dynamic. Manufacturing processes will be organised differently, with entire production chains – from suppliers to logistics to the life cycle management of a product – closely connected across corporate boundaries. Individual production steps will be seamlessly connected. Individual sensors and actuators in the field. In a Smart Factory, machinery and equipment will have the ability to improve processes through self-optimisation and autonomous decision-making. This is in stark contrast to running fixed program operations, as is the case today. Read more. The concept of connecting any device with an on and off switch to the Internet (and/or to each other). This includes everything from cellphones, coffee makers, washing machines, headphones, lamps, wearable devices and almost anything else you can think of. This also applies to components of machines, for example a jet engine of an airplane or the drill of an oil rig. If it has an on and off switch then chances are it can be a part of the IoT. Read more. Cloud computing means storing and accessing data and programs over the Internet instead of your computer’s hard drive. The cloud is just a metaphor for the Internet. Read more. A pilot facility, developed by The German Research Centre for Artificial Intelligence (DFKI) in Kaiserslautern, Germany, is demonstrating how a “smart” factory can operate. This pilot facility uses soap bottles to show how products and manufacturing machines can communicate with one another. Empty soap bottles have RFID tags attached to them, and these tags inform machines whether the bottles should be given a black or a white cap. A product that is in the process of being manufactured carries a digital product memory with it from the beginning and can communicate with its environment via radio signals. This product becomes a cyber-physical system that enables the real world and the virtual world to merge. Industry 4.0 – Why should you care about all this? 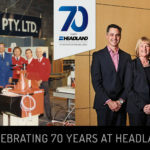 Within the manufacturing industry today, there are said to be two groups: the traditional, first generation who may be struggling in the Australian market due to a lack of desire to invest in technology, and the innovators, who are finding themselves more success in a tough climate because they are open to adopting new ways. With an increasingly digital future ahead of us, this new era for manufacturing looks set to transform businesses worldwide. It is imperative for manufacturers to consider new technologies arising and explore how they can adapt their processes to comply with the expectations of the modern world. 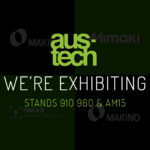 For more information about cloud technology, read more here. If you’d like to discuss how you can modernise your business processes and systems, get in touch to speak with an expert.